Former Congressman-Turned-Rush-Lite Joe Walsh has done something that we applaud. Now...we don't want to be too harsh, because frankly we don't know that much about Joe Walsh aside from what we see on YouTube (it ain't "Congressional" if you ask us...), but we're guessing that this is one of the times we're on the same page as him. 2. Some people really like him and believe in him. 3. He has the ability to marshall *some* votes. Those are all good traits for the ILGOP. So, we here at the Illinois Truth Team are applauding him for taking a step back and realizing that we need to focus on winning MORE seats in every form of Government in Illinois. Not spend time fighting each other. Illinois Review is reporting that he's backing away from an endorsement he made in a GOP Primary race. 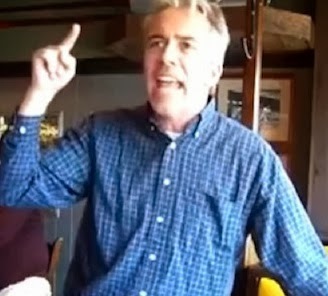 Former Congressman and radio talk show host Joe Walsh withdrew his endorsement of Dr. Barbara Bellar who is running in the GOP primary for Cook County Commissioner against incumbent Republican Liz Doody-Gorman. Walsh, who named Bellar in his first endorsment list released in September, told Illinois Review that the reason he withdrew the endorsment was because he couldn't see a path for her to win. "Yes, I really like Dr. Bellar," Walsh said in an email. "But she hasn't done what she's needed to do to put together a campaign that can actually win. [Cook County Board of Reviews Commissioner] Dan Patlak told her the same thing." Liz Doody-Gorman is a Republican. She's been a Cook County Commissioner since 2002. Know how many Cook County Commissioners are Republicans? Just 4. 13 Democrats. Joe Walsh is doing the right thing here and backing off of a primary. Joe Walsh (in this case) is pulling down his weapon and walking away from the circular firing squad. We need more of this. Think what you want about Doody-Gorman. Bottom line, she's a Republican. And...if the party has a future here, we need to accept that, and support her.